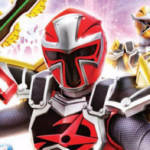 Power Rangers Super Ninja Steel Christmas Special Preview Online! A short preview clip has been released for the last episode of Power Rangers Super Ninja Steel! This episode will be the annual Christmas special, and feature special appearances from previous heroes & villains. This episode of Power Rangers Super Ninja Steel will air on Saturday, December 1st 2018 only on Nickelodeon! Great news for fans of Power Rangers Ninja Steel and Power Rangers Super Ninja Steel! 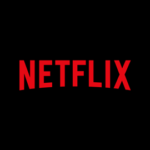 The first eight episodes of Power Rangers Super Ninja Steel have been added to Netflix USA. Unlike previous seasons, Power Rangers Super Ninja steel is listed as “Season 2” under Power Rangers Ninja Steel. It should be easy to decipher however, as Power Rangers Ninja Steel is currently shown with a “NEW EPISODES” graphic in the title card. Once again, foreign markets are progressing through a Power Rangers season faster than American networks. 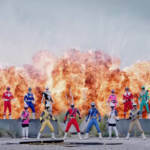 New summaries for Power Rangers Super Ninja Steel have been released via France’s GULLE programming directory, detailing the 13th and 14th episode of this season. *Episode 13 should introduce a new villain, previously revealed thanks to the toyline. *Episode 14 may introduce a new hero, thanks to some previously-unexpected footage from Super Ninja Steels’ parent series, Shuriken Sentai Ninninger. Both episodes are currently scheduled to air in France the week of September 11, 2018. Stay tuned to TokuNation as we keep you up to date on all Super Ninja Steel Reveals! August 28th, 2018 is officially Power Rangers Day. Today commemorates the 25th Anniversary of the Power Rangers. Celebrate with an episode or two of your favorite Power Rangers series and tune in to Nickelodeon tonight at 8pm EST for the primetime special – “Dimensions in Danger” – the legendary reunion episode in Power Rangers Super Ninja Steel. May the power continue to protect us all! Go Go Power Rangers! If you’re a follower of our site and social media then this news post will not offer anything new or exciting for you. 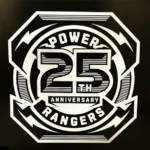 However, if you’re new to the site or you happened on this page by accident we have some great news to tickle your nostalgia bone – the Power Rangers officially turn 25 years old TOMORROW, August 28th! Starting at 12:00am on Tuesday morning, it will officially be #PowerRangersDay! Celebrate on social media everything you know and love about Power Rangers with #RangerNation! The next two days are HUGE for the Power Rangers brand. On Tuesday at 8pm EST, Power Rangers Super Ninja Steel will make an incredibly rare primetime airing to showcase an episode that will celebrate 25 years of the Power Rangers television show in “Dimensions in Danger“, featuring the return of Jason David Frank as Tommy the Mighty Morphin Green Ranger, as well as other Legendary Rangers, for an epic team-up episode. On Wednesday, August 29th, arguably the biggest comic book story of the year will finally wrap up with the release of Mighty Morphin Power Rangers Shattered Grid #1. For two years Kyle Higgins has scripted a story that all leads up to this epic conclusion of the Power Rangers’ greatest enemy – Lord Drakkon, the evil alternate reality version of Tommy – with the fate of all of existence at stake! Will the Power Rangers be successful at stopping Lord Drakkon or will evil triumph and destroy reality as we know it? Join us as we live tweet the 25th Anniversary Special episode on Tuesday, and join us for a spoiler-filled review and celebration of the Mighty Morphin Power Rangers Shattered Grid #1 issue on Wednesday. But most of all – enjoy being a Power Rangers fan because it is guaranteed to be a MORPHINOMINAL time! Go Go Power Rangers!! Power Rangers Super Ninja Steel Episode 9- “OutFoxed”- Preview Online! After months of waiting and speculation, the Power Rangers are finally coming back to television! After their Zords are disabled by Odius’ giant Foxatron, the Ninja Steel Rangers must find a new way to stop her evil Zord. This episode of Power Rangers Super Ninja Steel is currently scheduled to air Saturday, August 25th at 12PM on Nickelodeon! Be sure to join in our Official Discussion Thread to share your thoughts about this exciting new episode! A brand new clip for the much-hyped Power Rangers 25th Anniversary Special episode “Ranger Danger” was just released today, a special that will see the return of many Power Rangers both past and present. In this clip titled “Surprise Comeback,” a familiar face arrives to save our Rangers from a rather sticky situation. Of course, the clip will contain spoilers so make sure you hit the jump at your own risk and be sure to tune in Tuesday, August 28th 2018 to view the special in its entirety.